Study in the heart of Paris with a one year Master program specialized in Corporate Finance & Managerial Accounting. Acquiring knowledge through experience is vital. 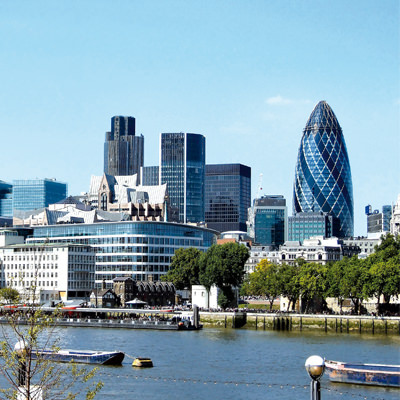 A Business tour in London is organized with a guided tour of the City and its main financial institutions such as the Bank of England and Bloomberg headquarters. Conferences by professionals (traders from brokerage firms, and financial analysts from rating agencies for instance) are organized to enhance the link with experienced specialists. What is the difference between 90 ECTS program and 120 ECTS program? Paris School of Business’ 90 ECTS programs require 4 years of undergraduate study. Candidates who have earned a 3-year undergraduate degree can still apply and make up for the additional year of studies in only 4 months with our 120 ECTS program. The course will allow you to progress faster and do your job better, by giving you a firm working knowledge of the tools and techniques that make taking important business decisions easier and with a greater certainty of success. You will enhance your understanding of companies as a whole through studying financial reporting and analysis, taxation, costing and budgeting, relationships and risk management. This will allows you to plan and implement strategic decisions in the short-term and the long-term. The syllabus looks at the diverse business sectors from an international and multicultural point of view. It gives you the know-how required to understand business strategy and become a more effective and engaged business partner). This master is designed to develop the critical knowledge and skills that employers are looking for, you will be able to join and progress faster within large or small, public or private companies, all around the world. By closely following the Chartered Institute of Management Accounting (CIMA) syllabus it will allow you to easily become a chartered Managerial accountant.